More than 30 million people in the U.S. wear contact lenses. To help encourage public awareness and promote healthier contact lens wear and care, the CDC has designated the third week of August as the annual Contact Lens Health Week. In observance of Contact Lens Health Week, we’ve assembled some tips and best practices for contact lens wearers to follow to ensure their vision health and the functionality of their contacts! When putting on your contact lenses, always be sure to have clean hands before handling them to prevent eye infections as well as damage to the lenses. This means washing your hands with soap and water and drying them well with a clean towel, every time. It’s recommended that contact lenses be worn for no more than 12 hours per day to prevent damage to the cornea. Also, you should always switch to glasses before showering or swimming, and you should never sleep in your contact lenses. Before storing your lenses after wear, always clean your lenses with a disinfecting lens solution—water simply won’t do the job—and store your lenses in the proper solution. Your lens case should be cleaned with contact lens solution and stored, caps off and upside-down, after each use. If you wear hard, or Rigid Gas Permeable (RGP) lenses, it’s especially important to follow the recommended cleaning and storage practices to ensure that you get the most out of the lens’ lifespan. Replacing your contact lenses according to their recommended lifespan (or your eye doctor’s recommendation) is important, but did you know that you should also replace your lens case every three months to prevent fungal infection? As well, never “top off” or refill an old bottle of lens solution. Doing so can enable the continued growth of a fungal infection or contamination in your old lens solution. 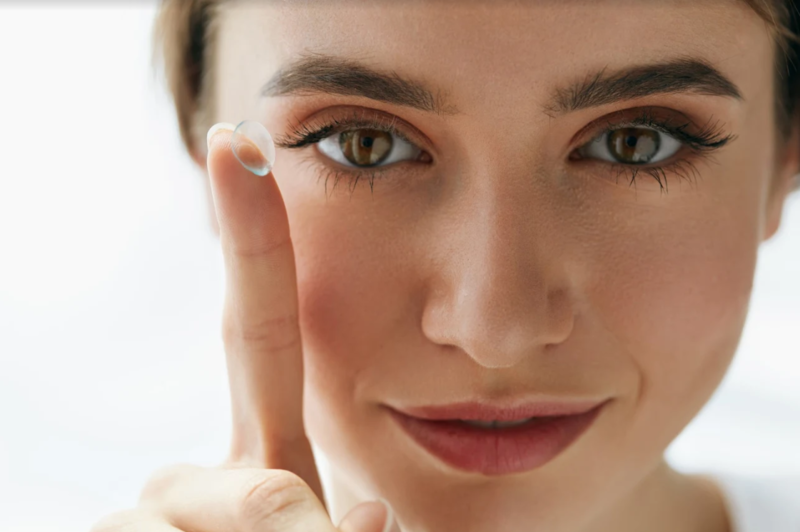 At Texarkana Eye Associates, we offer a wide variety of contact lenses, including lenses that are custom made to your eye using state of the art technology. Whether you are a long-time contact lens wearer or are looking to free yourself from your glasses, we can recommend the best solution for your eyes! Learn more by visiting us online or contact us by phone at 903-838-0783. We look forward to seeing you!